I have been working steadily on the ribbed shrug and have completely ignored starting the gingham halter sundress for now. 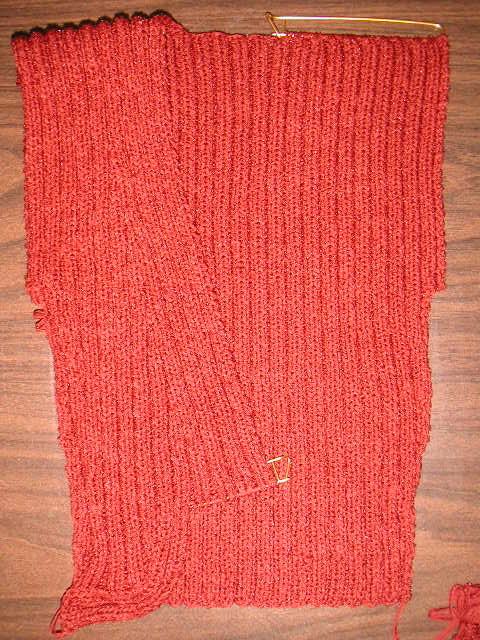 The shrug is coming along nicely and I really like the subtle shaping. I should be able to get this finished sometime this weekend. I also started classes this week: fashion sketching and patternmaking 2, which accounts for the lack of posts. In fashion sketching, we learned how to draw a fashion croquis (French for sketch) and in patternmaking we are drafting personal fit slopers, starting with a bodice. Fun stuff!